These are all the UCW IMPACT staff members that you can use in your RP's! 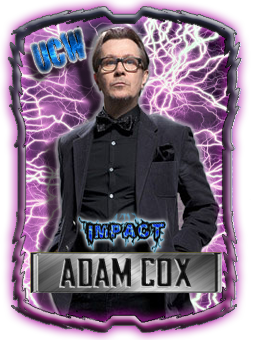 Adam Cox: Fan of Wrestling he thinks he knows there is to know about running a wrestling federation. He is an old friend of Barry Brooks despite this fact Adam has always seen Barry as his rival. Cox always dreamed about buying a federation but for different reasons never did it, when he saw Barry bought UCW he started planning his way into UCW he was determined to Impact the wrestling world. Zeta: Is Impact GM, Cox can not always be around so Zeta will have to run the show. He is eccentric and he has a tic that makes him start laughing when you least expect it. He is also a wrestling fan but of the extreme. He is a quiet being but if you mess with him he is capable of unleashing his inner demon and nothing will stop him then. Nick Hunt: A man from the radio he has a midnight program and now he is one of Impact commentators. He is a ladies (or at least he thinks he is) not the Casanova type more of a Johnny Bravo, a fan of history he likes to compare wrestler with figures as Attila the Hun, Genghis Khan, Leonidas, Alexander the Great among others. Rai Lee: Rai's father was a former pro wrestler called Takahiro Lee aka "The Flying Dragon". She grew up on wrestling show backstages, she knows all about the business, that is why Adam called her to be one of the show commentators. She used to work as DJ. 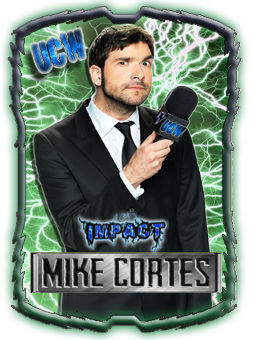 Mike Cortes: The show interviewer, he never takes anything seriously he likes joking around and that ends in more than one problem for him. 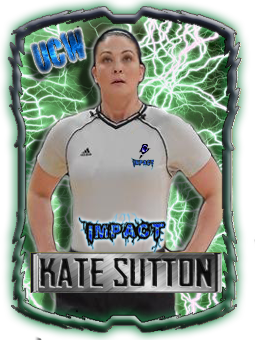 Kate Suton: Impact referee, former USA Olympic wrestling team. She is incorruptible doesn't like speaking too much in the ring her desition is final. She is the kind of woman you don't mess with. This are all the staff members for now.